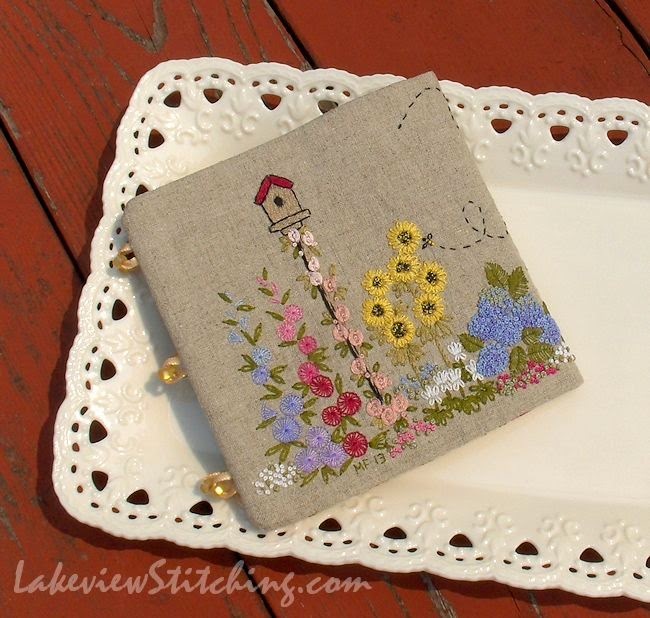 Here, at long last, is my Cottage Garden needlebook, made up and ready for service. It is the cover project from Inspirations #53, designed by Kris Richards. I bought the kit in 2007, started the embroidery shortly thereafter, and finished the stitching early last year. 18 months ago!! A nice thick wool felt came with the kit for the pages, which I cut to 5" x 10". It stays well inside the cover, which was my intention! There is a three loop closure made from ribbon and beads, which was only partially successful. My first plan was to use elastic. That would have been better, but I couldn't find it in the right colour. Next time! So, there it is, only my second finish for 2014, and it's already August! Time to pull up my socks and finish off a couple more that are close to the end. Now the challenge is to avoid pulling out another Inspirations kit from my stash until I get at least a few more things done! How lovely! Your embroidery is so intricate and exquisite! So pretty! I love the fabric you chose for the inside. 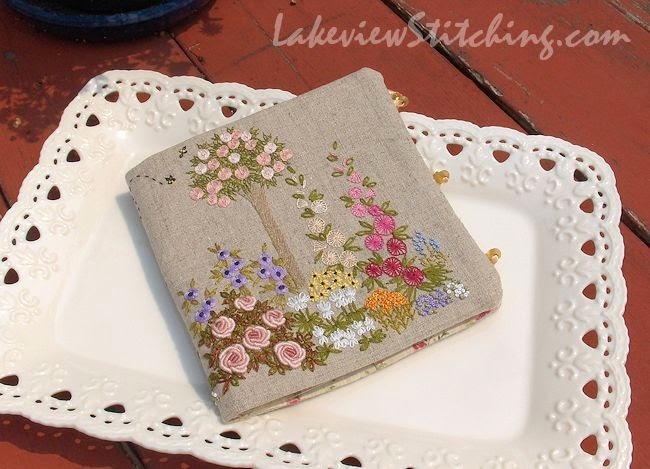 I have a small one that I embroidered that was a Lynette Anderson pattern. I like the idea of one a bit bigger! It turned out beautiful! 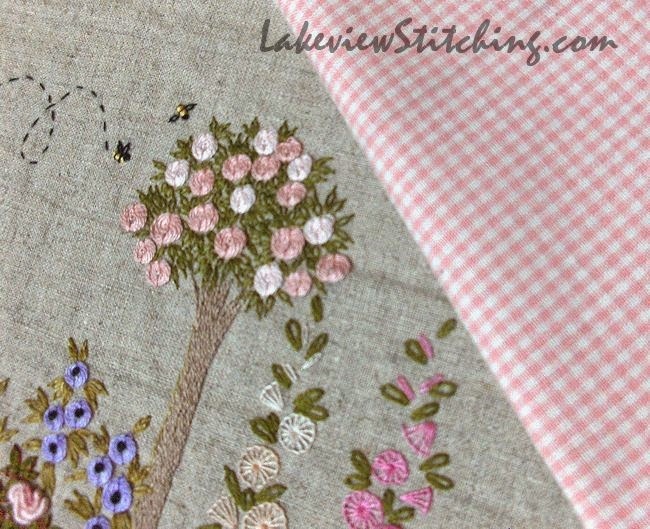 Lovely stitches! I too have this issue and got it precisely because of this needle book which is in the magazine's cover. Thank you very much! I also have the kit for the thread cutter cover, *and* I also really like the koala needlebook in this issue too. It was a great issue! Congratulations! 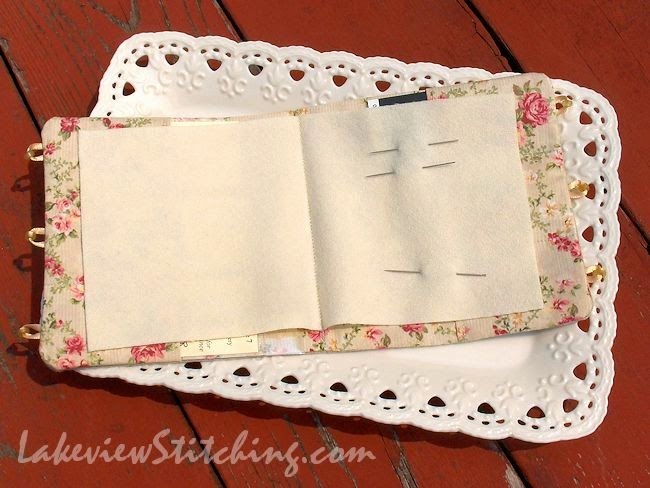 A beautiful needle book. 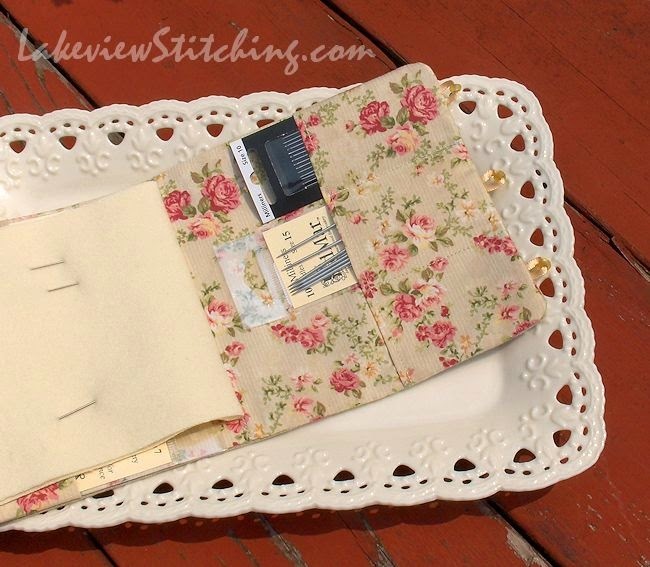 Your choice of the romantic rose print inside the cover is perfect. Time to celebrate a beautiful finish. This is so pretty! You did a fantastic job on the embroidery! 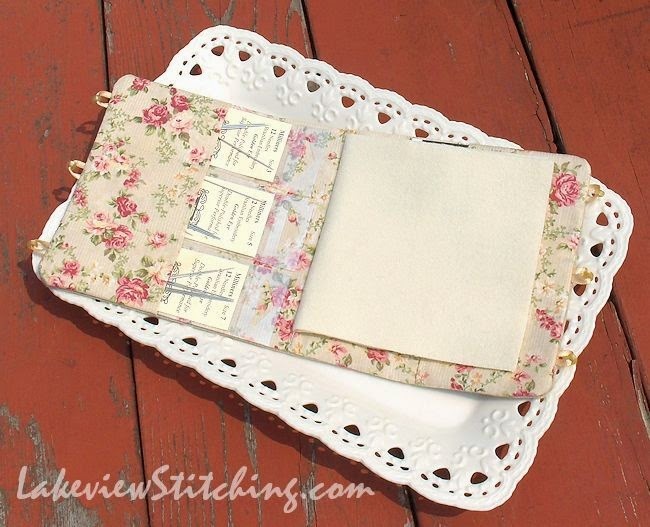 I have a needle case on my to do list. Great idea to use for all milliners needles. I agree that having space for packets in a needle book improves usability no end. The fabric is a great match. 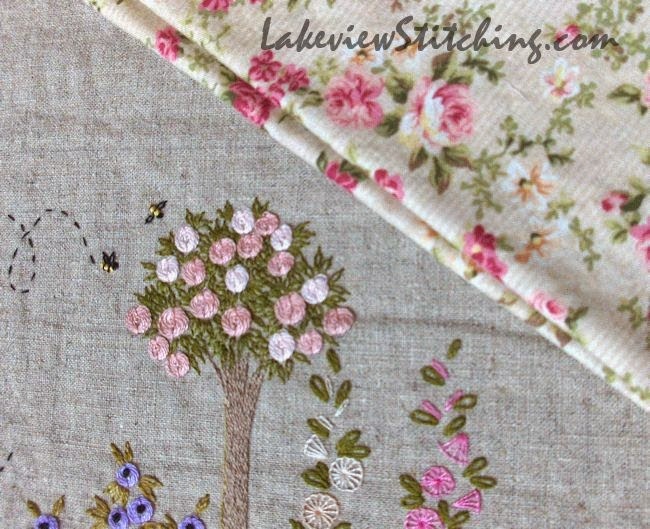 I also love cottage garden embroideries. It's good that you hung in there to get exactly what you wanted - and still finished it! Enjoy using it. LOL, thanks very much, Jillian! It is nice when things work out as planned. I hope to get a lot of use from it! Thank you, Deb. I appreciate that!